Pink Pout is a beautiful and affordable soft-mauve which is sheerer than you would expect most matte lipsticks to be. And on some skins, it can look a little chalky and washed out. 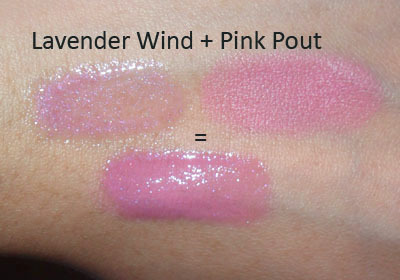 Lavender Wind (Limited Edition**), like most other interesting, shimmery, sheer glosses, can sort of disappear on the lips, making you wonder what the whole point was in the first place. 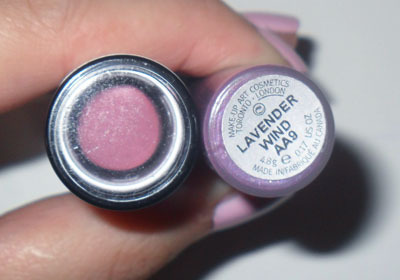 **MAC Oyster Girl is a nice replacement if you don’t have Lavender Wind. It’s also a nicer gloss on its own anyway. So I just layered the translucent shimmer gloss over the matte lipstick. Recommended if you’re ready to graduate from barely there cool-toned lip products, but not quite sure about full-on lip color yet.